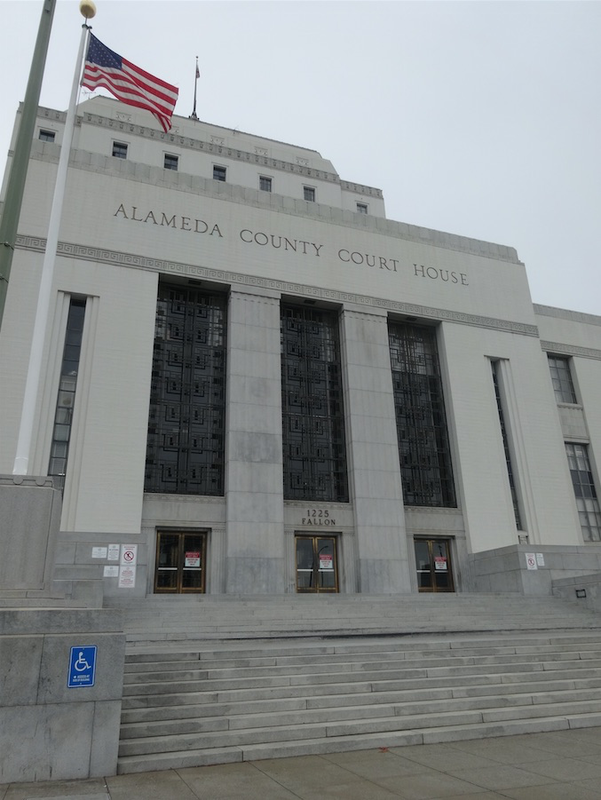 At the Rene C. Davidson Courthouse in Oakland, the FBI planted hidden microphones inside light fixtures on the courthouse’s exterior steps to capture the conversations of people attending the foreclosure auctions. Cameras and microphones were installed in parked Alameda County vehicles next to the courthouse. The FBI even hid a microphone in the AC Transit bus stop on Fallon Street, and dropped a bugged backpack next to a statue inside the courthouse, according to a letter sent by US Justice Department attorney Kate Patchen to Marr’s attorneys on March 15. The surveillance was ongoing from March 2010 to January 2011.